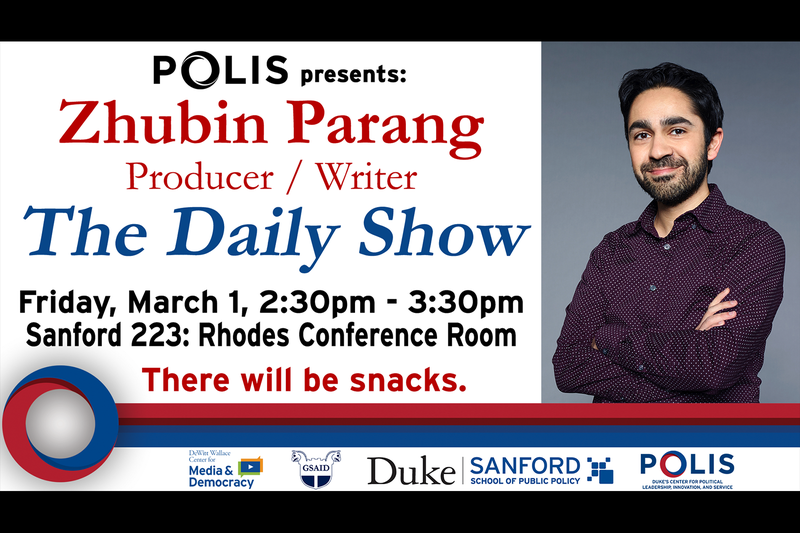 Zhubin Parang, Writer/Producer, "The Daily Show"
Zhubin Parang is a multiple Emmy award-winning writer and comedian living in New York City. He is currently a writer/producer for The Daily Show With Trevor Noah and was previously a writer for The Daily Show With Jon Stewart. Prior to moving to New York, he was a house player with the Washington Improv Theater in Washington, D.C, performing on the longform teams Jackie and Dr. Fantastic. He is a graduate of the Georgetown University Law Center in that city, and of Vanderbilt University in Nashville, Tennessee. His writing has been featured in McSweeney's, The Onion, and The Morning News.